This Dufour 382 sailboat, built in 2016 is an excellent choice for those wishing to experience a new sense of freedom in style and comfort. Wake up to the sound of the sea in one of the Dufour 382’s 3 spacious and modern cabins. Sleeping up to 6 people, this sailboat is perfect for sailing with friends and family. 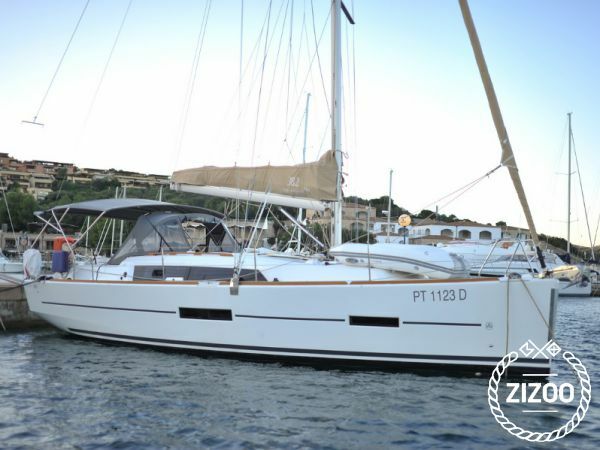 The Dufour 382 is located in Marina di Portisco (Olbia), Portisco - Sardinia, a convenient start point for exploring Italy by boat. Happy sailing. Wir haben über Zizoo dieses Boot für eine Firmenveranstaltung gebucht, wir waren sehr zufrieden mit dem Zustand. Wir machen jedes Jahr einen Charterurlaub mit dem Freundeskreis. Das war unser zweiter mit Zizoo. Wie beim ersten Mal gab es an unserem Boot nichs auszusetzen und alle Mitarbeiter, mit denen wir in Kontakt standen, waren sehr freundlich. Weiter so!